Butetown Carnival returns after 16 years! Monday 25 August 2014, be there! After a massive break of 16 years, Butetown Carnival is returning to bring joy and good vibes to all of you on this Bank Holiday Monday, 25 August! A steering committee led by community members and heavily supported by Butetown Community Centre won their bid to bring back the Butetown Carnival this August Bank Holiday Monday. The carnival will be celebrating the rich musical heritage of the Butetown community. Butetown Carnival began in the mid-1960s but came to an end in August 1998. Back in its glory days, the carnival attracted tens of thousands of people to enjoy performances, workshops, parades, market stalls and activities for children. Throughout its lifespan of 40 years, Butetown Carnival rivalled carnivals and festivals across the UK, including St Paul’s and Notting Hill. This year’s carnival will include two performance stages, both of which are supported by Butetown Carnival partners, Wales Millennium Centre. The stages – one acoustic and a main stage – will feature a variety of performances including jazz, blues, reggae and ska from celebrated local artists. Alongside live music, there will be market stalls, a parade to kick off the celebrations at 2.00pm, pop-up poetry and theatre and a huge flash-mob performance of the Electric Slide. We’ll be running an interview with Keith later this week on We Are Cardiff, so stay tuned for that! 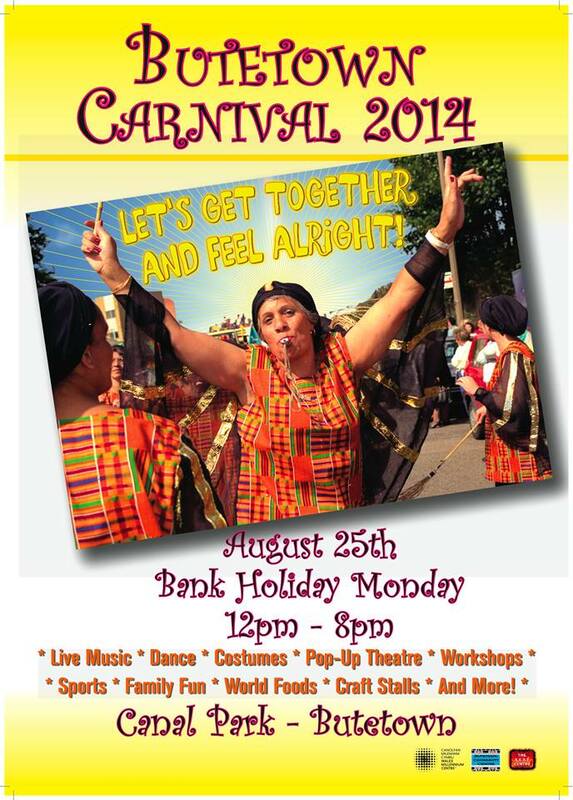 Butetown Carnival takes place on Bank Holiday Monday, 25 August 2014. It will begin with a parade in Loudoun Square at 2pm. Following the parade, performances and workshops will run throughout the day and night at Canal Park behind Butetown Community Centre, Butetown, Cardiff. We Are Cardiff will be wandering around, taking pictures and making a nuisance of ourselves. We hope to see you there!